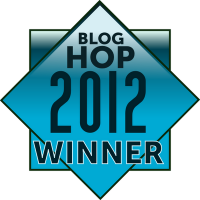 Lillie McFerrin Writes: Blog Hop Winners!! This was an extraordinarily difficult decision for us to make. There were so many amazing entries for the Blog Hop!!! But, Angie, Angela, Daniel, and I finally came to a decision on the five winners. Thanks to everyone who participated and spread the word to make our blog hop a success. You guys rock!! 1st PLACE: Ruth Long "Between the Lines" - 50 pg edit from Me!! Thanks for hosting such a fun bloghop and choosing such a stellar photo prompt!! Thank you to the hosts and all the entrants in the blog hop. I had a blast writing my entry and reading all the others. I was off on a cruise when the winners were announced and was so tickled to come home to the news of being second place. Off to grab the badge....thank you again!